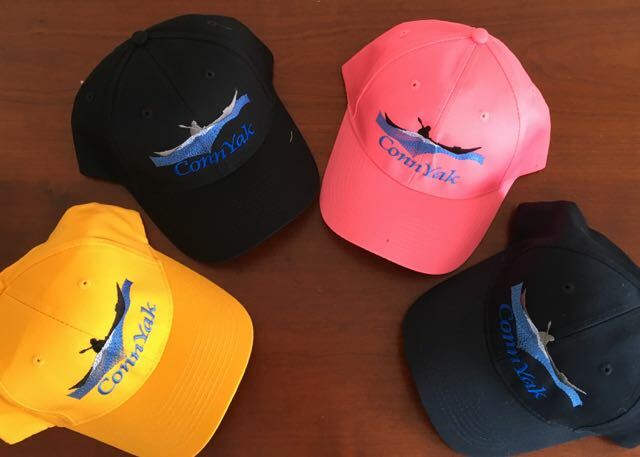 They're back, in navy, black, gold or pink -- a deal at $15 each. Get yours at the Film Festival this Thursday, April 11, or at the spring picnic on June 1. I'll also have them on club paddles. Thanks, Sheldon, for bringing back Jay's classic ConnYak design.